One place I didn’t expect to find myself on a Wednesday afternoon: a corner coffee shop in Pilsen (Café Jumping Bean), sitting on a lap, squeezed between patrons and grinning employees as cellist Yo-Yo Ma took requests from the solo suites of J.S. Bach from his seat near the front window. (For all the string players reading this: yes, the cellists at the back of the room immediately yelled, “Number six!”–and, yes, he obliged.) Ma’s pop-up concert was part of the Civic Orchestra’s third annual Bach Marathon on Wednesday, November 30. For this project, Civic musicians formed small ensembles, each suited to the particular instrumentation of one of Bach’s six Brandenburg concerti. Then, over the course of twelve hours, we presented twenty, free performances at eight different community venues around the city. Leading up to the marathon, each group had the privilege of being coached by Baroque period specialist, Nicholas Kraemer, who offered stylistic insights as he played with us from the harpsichord, and of working with author and musician David Wallace to develop our ability to engage audiences and help listeners find personal connections to the music. We also received musical feedback from Ma during our dress rehearsal. Additionally, a number of Civic musicians had the opportunity to meet one-on-one with Ma the day after the Marathon for “office hours,” where we were free to ask Yo-Yo whatever musical or career-related questions were at the forefront of our minds. The Bach Marathon is a favorite activity of many Civic musicians, and the energy and enthusiasm of the day, as well as the close relationships formed within our small ensembles, continued to fuel us as we returned to Symphony Center and began to rehearse Copland’s Third Symphony. In addition to our Bach Marathon performances, the Fellows have spent several weeks working on long-term projects. 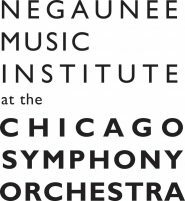 As part of the Negaunee Music Institute’s CSO-CONNECT program in the Chicago Public Schools, the Fellows created a musical presentation, designed around a theme of courage, for middle school students. The programming features Richard Strauss’ Don Quixote and Franz von Suppé’s Light Calvary Overture, as arranged by our former principal conductor, Cliff Colnot, specifically for our ensemble of sixteen musicians. In January, we will perform this presentation at five participating schools: Agassiz Elementary School, Clinton Elementary School, Walt Disney Magnet School, Edwards Elementary School, and Swift Elementary School. We will also share it with students at other schools throughout the spring in the context of other Civic Fellows projects. In November, David Wallace, author of Reaching Out: A Musician’s Guide to Interactive Performance, led us in a workshop to refine our presentation, and we have spent the last few weeks exploring his suggestions through rehearsal and videotaped mock performances. Finally, the Fellows have been working in teams to write and present grant proposals to fund community engagement projects on the south and west sides of the city and in the western suburbs. We look forward to sharing more about these projects with you as they unfold. Tuesday night’s full-orchestral concert with conductor Teddy Abrams was reviewed in the Tribune, and though the holiday break will delay our next meeting on stage until January, we have begun preparing our parts for our next orchestra program. Stay tuned!